Blakehurst. From the view crossing Tom Ugly’s Bridge to the intoxicating scent of freshly cooked sea food. A hidden diamond in Sydney’s own backyard. All this and more at your door step so what’s holding you back? 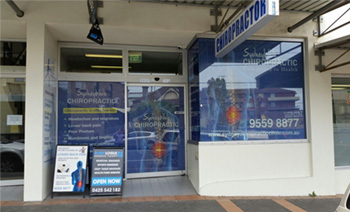 If the answer is back or neck pain then you need to turn to Sydney Wide Chiropractic, the leading chiropractor in Blakehurst, who are waiting to help you. When it comes to your body, the central nervous system controls every aspect of movement and motion. The position of your spine in allowing your nervous system to function fully is central to a healthy and mobile body. If you’re experiencing spinal stress or discomfort of the body then your nervous system is hampered through the spine acting out of alignment. The science is simple, the solution should be too. We have been taking care of Blakehurst for over 11 years now and have the experienced and friendly environment to suit your needs. From infants to the elderly we cater to all bodies and can help alleviate your pain from back and neck discomfort to ongoing sports injuries and chronic pain. Our focus is safe, effective and affordable treatment programs to gently restore your health and open up your future to a whole new spectrum of wellness and vitality. When it comes to your body, the stresses and demands of your busy lifestyle can result in pain and discomfort that won’t go away without specialist help. You shouldn’t have to endure lengthy and ongoing chiropractic care in this situations which is where we come in, as the number one chiropractor in Blakehurst we don’t simply treat your symptoms. Rather, we find the underlying causes of your pain and work on removing those while educating you on ways to self-heal going forward, taking your health truly into your own hands. So if you’re ready to take back control of your own health and wake up to a better, brighter tomorrow then give us a call on (02) 9529 4008 or email us at info@sydneychiropracticclinic.com.au to start your treatment today.